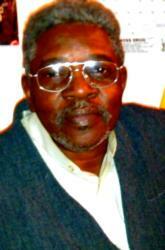 Mr. Jesse Jamison was born March 8, 1943 in York County, South Carolina. He was the son of the late Roosevelt and Leola Feaster Jamison. He was a graduate of Roosevelt High School, Clover, SC; class of 1960. After high school, Jesse moved to New Jersey where he worked many years as a chef. He was known to come south in the 1960’s and take several young men back to New Jersey to work in the food service industry. Mr. Jamison joined St. John Baptist Church in Sharon, South Carolina at an early age. He organized and sang in a gospel group; The Silver Stars. And while residing in New Jersey, Jesse attended Christ Temple Baptist Church where he was a member of The Men’s Choir. Jesse always had a passion for Gospel singing. Jesse was an active member of Mt. Pisgah Baptist Church where he continued to use his gift. 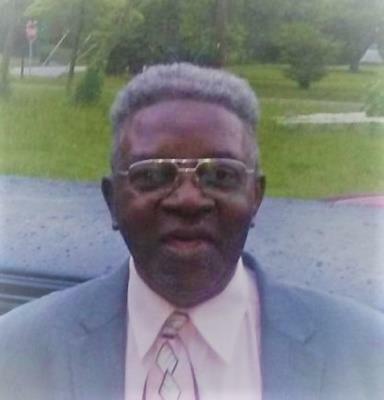 He was a member of the Brotherhood, Men’s Choir, Hymn Choir and Gaston County Prayer Band. In addition to his parents, Jesse was preceded in death by a brother, Rozell Jamison; a sister, Bessie Wheeler and a stepson, Kenneth Brown. Left to cherish fond memories are his wife: Henrietta Love Jamison, one daughter: Sheila (Bruce) Hart of Gastonia, NC; two sons: Melvin Jamison of Gaffney, SC and Charles Jamison of Gastonia, NC; one sister: Annie (Ray) Ragland of Norristown, PA and one brother: Sammy Jamison of Gastonia, NC; two stepsons: Johnny Brown of York, SC and Marcus (Daphne) Brown of Rock Hill, SC; one stepdaughter: Sharlayne (Edwin) Scott of Jacksonville, FL; one uncle: Mr. Jesse Jamison (Dot) of Sharon, SC; two aunts: Ms. Frances Jamison of Baltimore, MD and Ms. Isabelle Jones of York, SC; five sisters-in-law: Ms. Daisy Love and Ms. Lisa Grier both of Charlotte, NC; Ms. Annie Belk of Concord, NC, Emma (Joe) Mills of Union Mills, NC and Ms. Betty Miller of York, SC; nineteen grandchildren, thirty-one great grandchildren; along with numerous nieces, nephews, cousins and friends. To the families and loved ones of Mr. Jamison, who we know will be dearly missed. Almighty God promised at Revelation 21:4 that he will wipe away all our tears. And death, pain, and sorrow will be no more. So, you can take great comfort in drawing close to God in prayer. And he will help sustain and support your families to endure. During these difficult times and in the months to follow. My deepest condolences to all your loved ones. I work with Marcus at Brown Trucking and I feel sure he gets some of his hard working qualities from his dad, Jesse. Praying for the family and may God wrap his loving arms around them in this time of loss. We're so sorry to hear you are mourning the recent loss of your loved one. May you find strength and comfort from the words of Psalms 46:1 which reads: "God is our refuge and strength, A help that is readily found in times of distress." Our loving God is there for us if we ask for his help (1 John 5:14). He didn't intend for us to grow old 9and die. He thus has made the SURE promise of a resurrection RIGHT HERE ON EARTH when it is restored to a beautiful paradise (Psalms 37:9-11, 29; Acts 24:15; Isaiah 55;11). Can you see yourself welcoming back to life your loved ones? What a joy it will bring all of us. You can go online to JW.ORG and find out more about this resurrection.